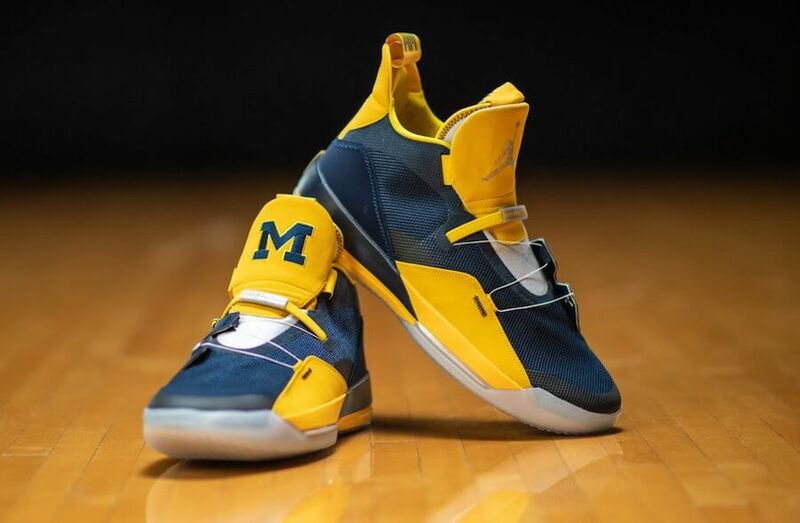 Michigan Athletics school exclusive colorways of the Air Jordan 33 PE are finally out for the men’s basketball team. 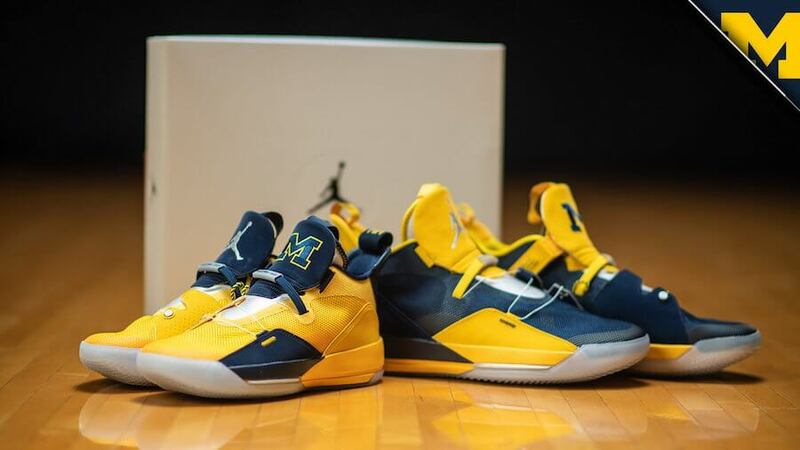 Both the pairs basically share same Michigan’s signature Maize and blue color scheme. While one of the pairs features a Yellow colored upper, the other comes dressed in Blue. 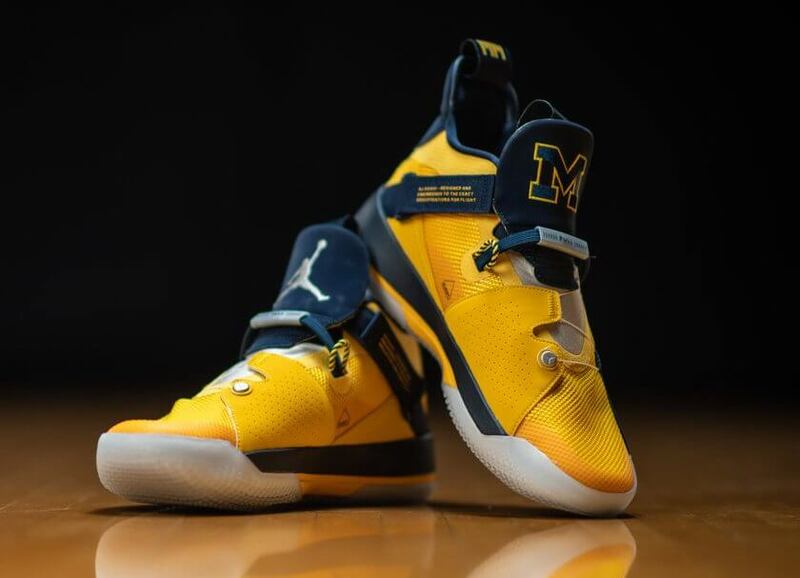 Moreover, these kicks have been further decorated with a Silver Jumpman logo placed on the right shoe and Michigan’s “M” block logo placed on the left respectively. At last, completing the design altogether is a translucent outsole. Check out more detailed images below and be with us for knowing about more upcoming school exclusives.